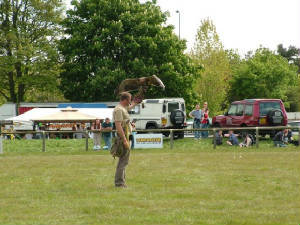 Land Rover Show - Driffield UK. 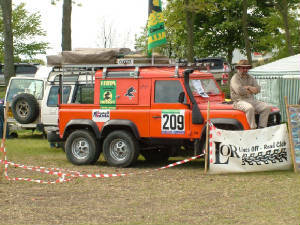 The Greatest LR show 2005 by Land Rover Owner Magazine. 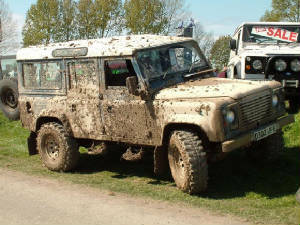 Land Rover LightWeight: was designed as a light weight (500kg) military 4x4. It's infact the smallest child of LandRover. This one certainly doesn't look like one. Few modifications and what we've got? Land Rover LightWeight Monster Truck! Thats a lovely thing, isn't it? 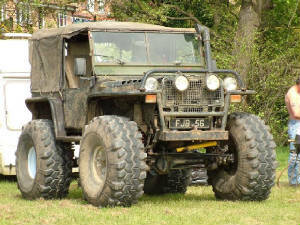 Defender 6x6. Picture looks like 3rd axle was added in PhotoShop... but it wasn't. It's for real. I've seen it. 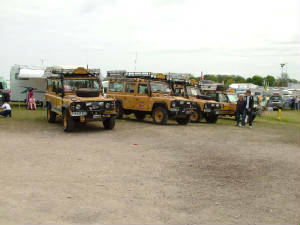 Tere were also RangeRovers 6x6, even Discoverys! 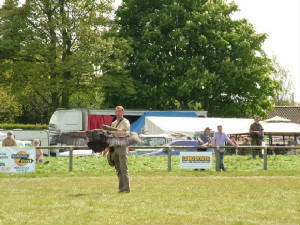 For those that hadn't tickets booked, there was a free car park. 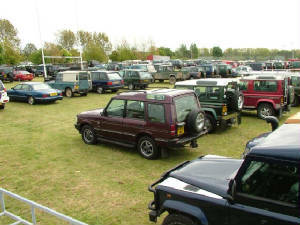 Full of Land Rovers as you can see... but what's that? It's a Jag I belive? ...and at the end - a movie. Defender runs over an innocent car. Awesome!